The objective of the District International Service Team is to encourage, advice and support Rotary clubs within District 1160 to “Be The Inspiration” internationally. To improve the lives of those communities who are hungry, thirsty or sick or who have no future, hope or shelter. We will encourage the fellowship aspect of international service through exchange programs and twinning, from which joint international projects may develop. 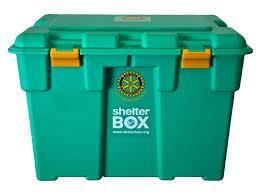 Rotary Clubs should embrace International projects, because we are members of Rotary International an organisation that looks outwards, over its national borders, to help communities abroad. According to the World Health Organisation, 80% of the peoples of this planet live in substandard housing conditions, 70% are unable to read, 50% are suffering from malnutrition, 40% have no sanitation and 20% do not have safe clean water to drink. We know that 10,000 children die each day through lack of vaccination and that water borne disease kills an estimated 20,000+ on a daily basis. So why are there still 22,000 innocent little children dying every day? They are dying because not enough people care about them. 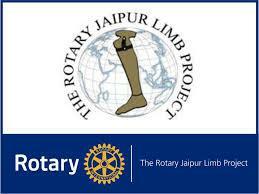 Governments will follow the peoples lead, Rotarians have the ability, the know-how, the contacts, the reach, the hands-on experience and man power to Be The Inspiration. 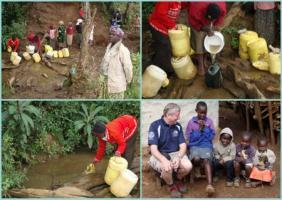 This is what Rotarians do in our International Service every day.